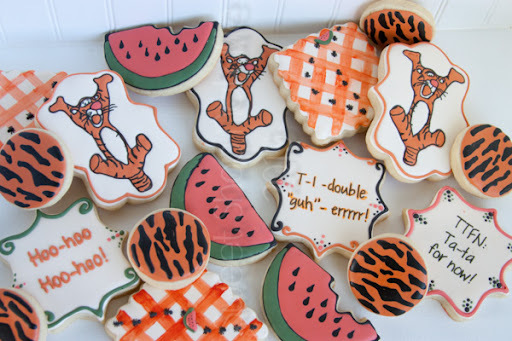 Sweet Shop Natalie: Tiggers Picnic for a Terrific Woman! Tiggers Picnic for a Terrific Woman! 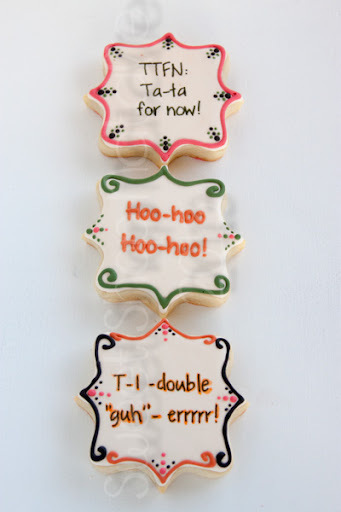 Here is the other set of cookies I did for the winning bidder of the cookie auction I participated in this month. My good friend Laura and my number one cookie fan was the winning bidder on the first cookie auction I sponsored. She is a selfless woman who is always willing to do anything for her friends and family. She is such a good example to me and love the times when we get to hang out!! I asked her what theme of cookies she wanted and she just gave me free reign. I remembered her mentioning a long time ago that as a kid her favorite story book character was Tigger from Whinnie the Pooh. 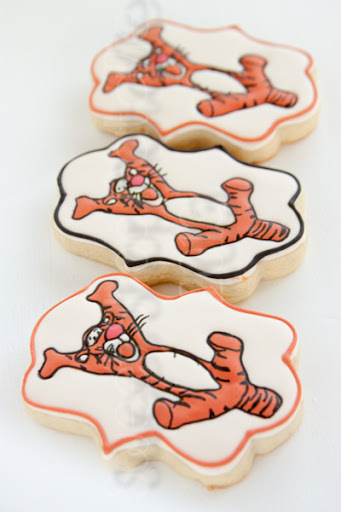 So I decided to do Tigger cookies for her and I decided that Tigger was going to go on a picnic. 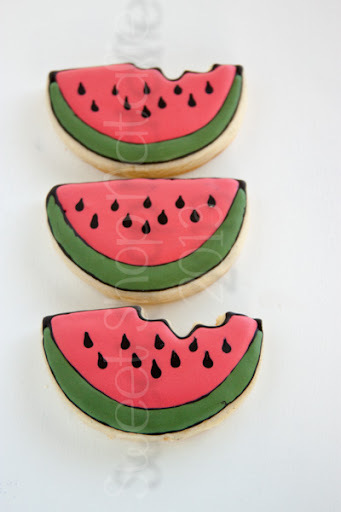 Got to have watermelon at a picnic. Some of the things Tigger might say while at this picnic. Thank you Laura for helping out the victims in Mooore OK, you are a hero! !